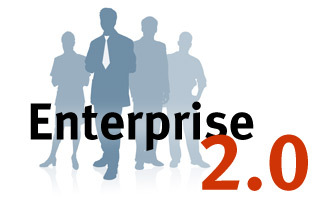 If Tim O’Reilly is the father of Web 2.0 after having coined the term, Andrew McAfee, on the other hand, is the champion of Enterprise 2.0. Both terms have garnered more enthusiasm in recent times. But how are they exactly relevant these days is what we will delve deeper. True enough that time and technology does not stand still, we all know someone, some place, at some time or another is going to figure out a way to advance online computing. I couldn’t agree more, and yes, that time and place is here and now. It had not taken a while until people have started realizing this particular advancement now. From O’Reilly’s Web 2.0 concepts, now let’s examine further as to how this can be engaged in the enterprise. The prime mover of this realization was Harvard Business School’s McAfee when in US Spring of 2006 he coined yet another emerging term to refer to this concept as ‘Enterprise 2.0’. What we are exactly doing now as bloggers, like you and me, is contributing content that is worthwhile and even just by reading articles such as this one is already an example of reaping the benefits of Web 2.0. But this time let’s go a little further by discussing how we can effectively share in allowing organizations to leverage social media for success like maximizing return on investment (ROI). When I say maximizing ROI in this one, as in my understanding, I’d like to refer it this way as having all the things we love about the web and combining it now with all the things we love in a business table (well I hope to get one later when I have my own business). Having said that, it’s also interesting to learn that a PhD student of Queensland Institute of Technology, Mr. Sirous Panahi is doing just that (a perfect example) as he is investigating the impact of social web technologies by looking at how clinicians or clinical care teams can share tacit (understood or implied without being stated) knowledge whilst using social networks—which I reckon is supporting a pathway to enterprise 2.0 success in the clinical health industry. In conclusion, this new platform—in my humble opinion—as imposed by Enterprise 2.0 is now creating “silos” but perhaps what we ought to equip this said platform with is our better understanding of how to put forth proper control, reliability, stability and security in existing companies and organizations, hence, providing them a better tool to collaborative participation.